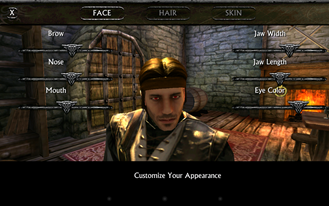 You play the part of a mysterious adventurer that miraculously survives an apocalyptic battle. It is not until you begin searching for an explanation that you discover you are part of an ancient and noble bloodline, and the beast that destroyed your comrades still lives. 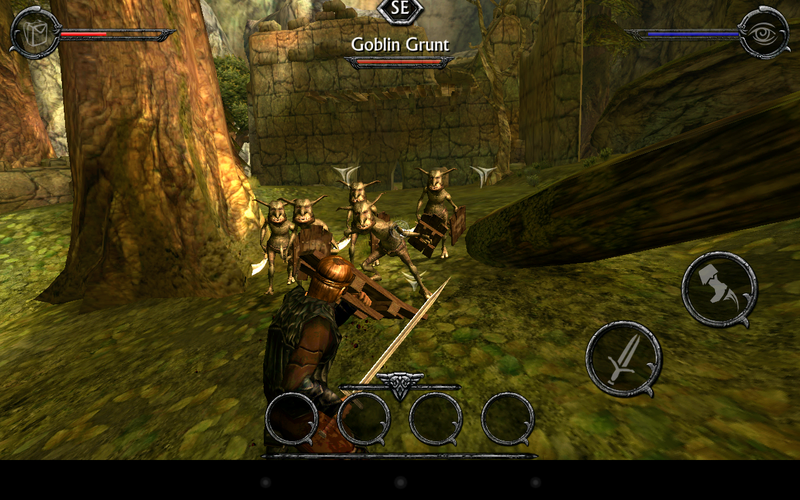 Only with the Ravensword can you defeat the demon, so off on a quest you go. It all sounds very dramatic and exciting, and it is... at times. The story has all the makings of something great, but the way it is told left me cold for the most part. It's a straightforward adventure tale as you search out the three Ravenstones that point the way to the sword. I don't think the story is bad, but it definitely misses opportunities to increase tension and get the player immersed. In addition to the main quest, you'll come across folks all over Tyreas that have problems for you to solve. 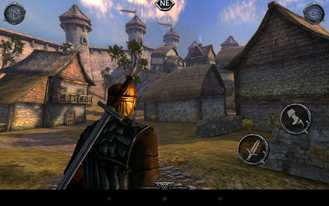 Ravensword is like a real RPG in that respect. All your quests pile up in your menu for you to peruse at your leisure. However, there don't appear to be any quest markers on the map. I'm a little flabbergasted by this omission. The game isn't massive, but it's certainly big enough that I was occasionally confused about where I needed to go. The quest log offers some clues, but it's not always clear. You can get gear to outfit your hero from fallen enemies, shops, and treasure chests. 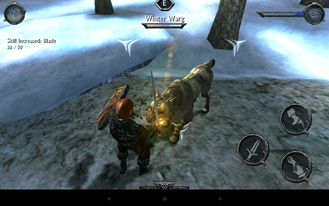 There is a strong assortment of swords, axes, bows, and clubs in the weapons category. Suits of armor and shields are also floating around. I like that you can choose how to play the game. Do you want to be light and agile so as to rely on bows? Or maybe heavily armored melee combat is your bag? The experience system ties into this by letting you shape your character to better suit your play style. 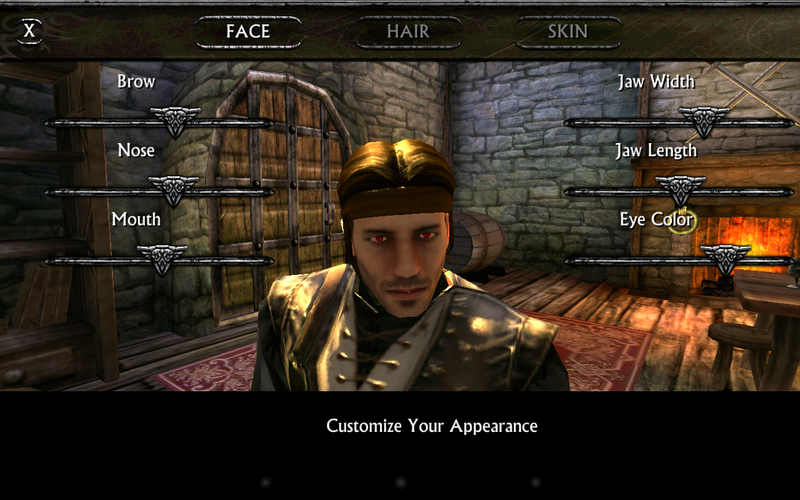 You even get a robust face editor when the game begins. As for controls, things are okay. Ravensword works pretty much like you'd expect. There is a virtual thumbstick on the left for walking and strafing. The right of the screen detects swiping for aiming. There are also buttons for attack/guard, jump, and magic. 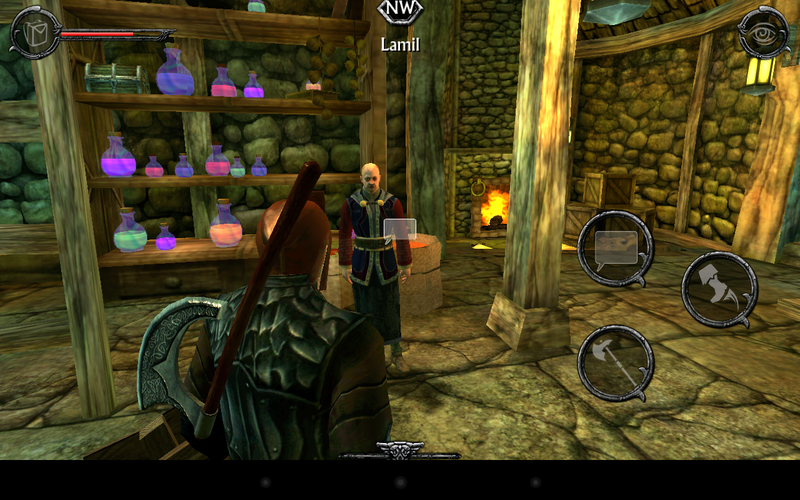 A 4-item dock at the bottom of the screen houses your magic runes. Only one can be active at a time, and is triggered by the magic button. Magic energy regenerates over time, but you can increase your mana through upgrades if you want to play a magic-focused character. 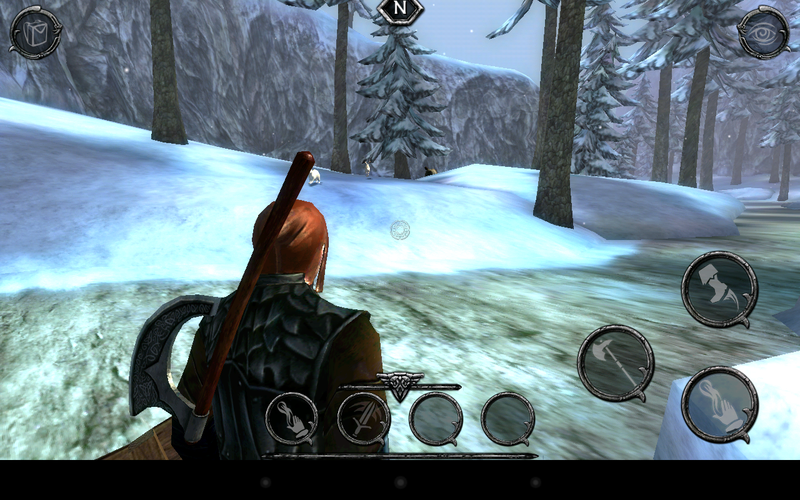 The controls get the job done, but even with the sensitivity turned up I feel like turning around is too slow. The attack/block button behaves oddly as well. Some single-presses are detected as long-presses (which blocks instead of attacks). In fact, some of the slower weapons are downright tedious to use because of this. Ravensword is an ambitious undertaking. This is a large world to quest around in, and there are a ton of legitimate RPG elements from full-scale games. Most of it looks good, but not great. 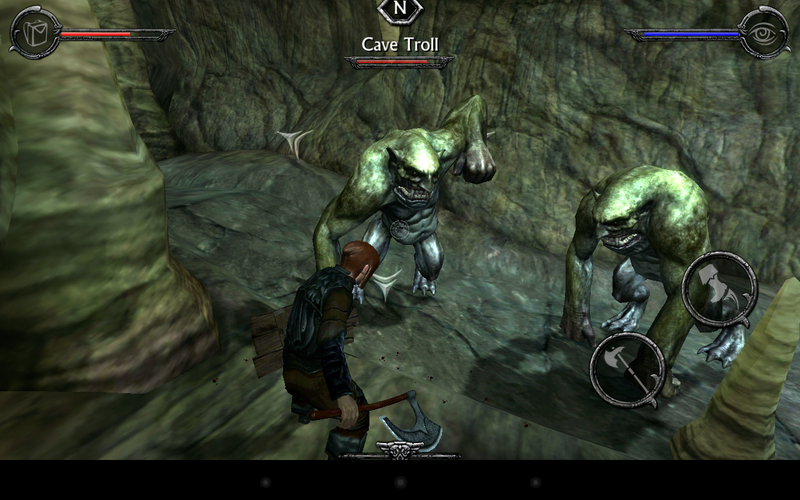 This is not Skyrim shrunken down for your phone or tablet. 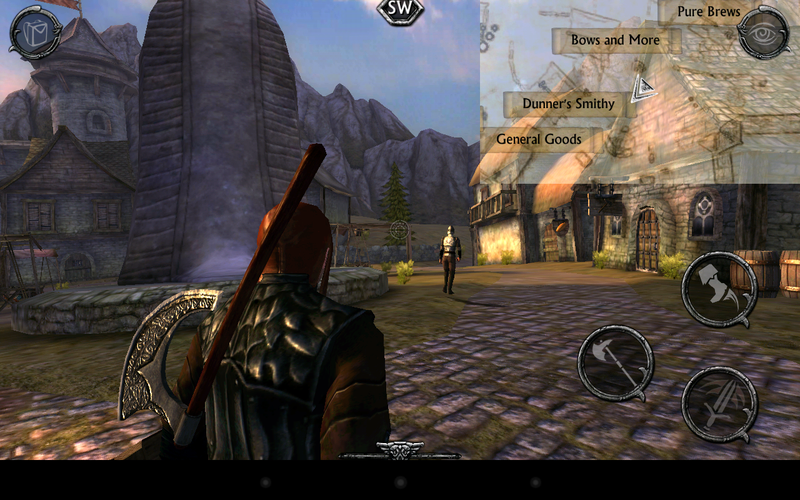 I saw a few instances of lag in particularly busy areas with the Nexus 7. 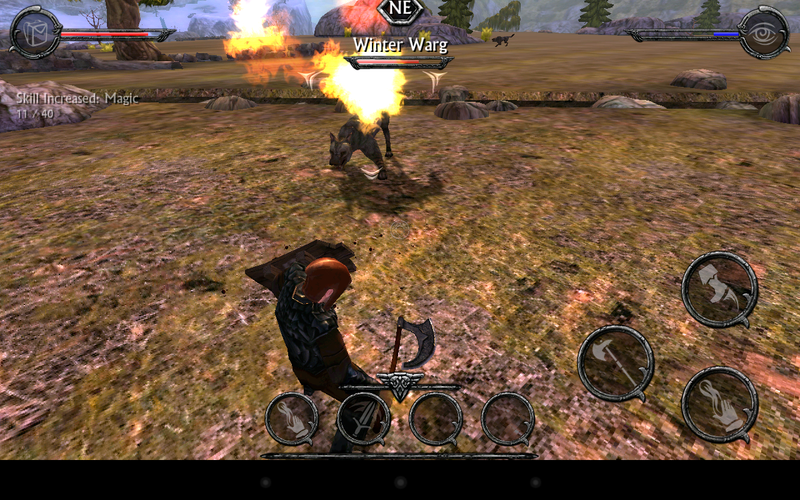 Other than that, all the unit animations are smooth, if a bit mechanical. Texture resolution is excellent for some objects, and not so much for others. 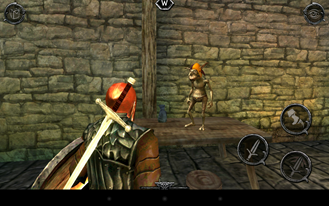 For example, walls and stonework look very crisp, whereas many types of ground material are blurry and pixelated. I am, however, impressed with the low degree of aliasing. It would have been easy to save processing cycles by leaving some jaggies, but most of the edges in Ravensword are fairly smooth. At the end of the day, this does still look like a mobile game. You need only observe the landscape drawing in the distance to be reminded of that. It's a valiant effort, and this title is prettier than I expected, but it could be better. Strangely, there is no day/night cycle as there was in Aralon. I feel like that would have added some polish. As for sound, I have to give the developers high marks for ambiance. You'll encounter the sounds of nature, random music, people talking, and other meat environmental details while playing. The voice acting is passable, but no one is winning any Oscars here. 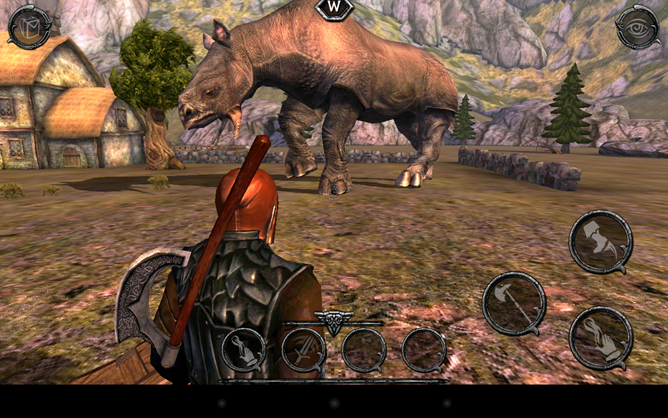 Ravensword attempts to take a big idea and make it work on a small device. It is not unsuccessful in this endeavor, but I don't know that I'd call it a success either. The gameplay is acceptable, and there are plenty of upgrades and loot. However, the controls are a bit clunky and the story is only vaguely interesting. 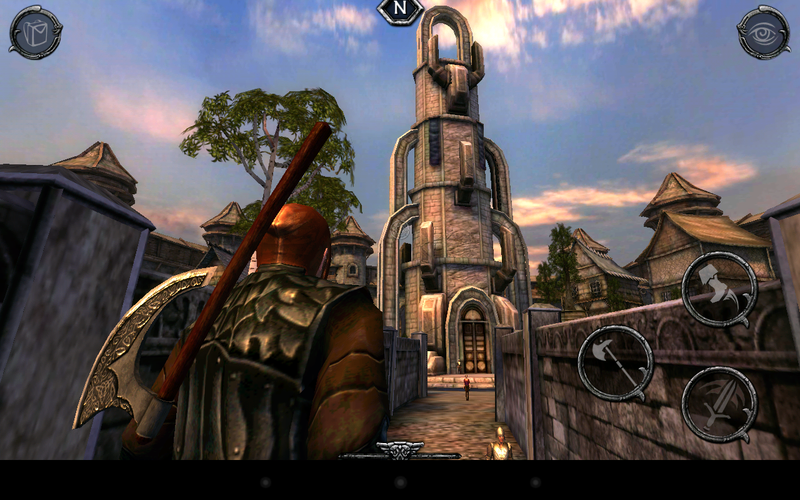 Ravensword is good overall in the visual department, though. As for the price, it's a $6.99 game. That's at the high end of app pricing, but I do think it could be worth it for avid RPG players. If you want that kind of experience, you'll put up with a few foibles. There are in-app purchases in Ravensword to increase your gold reserves. It is definitely not pushed on you, and the difficulty level is adjustable. 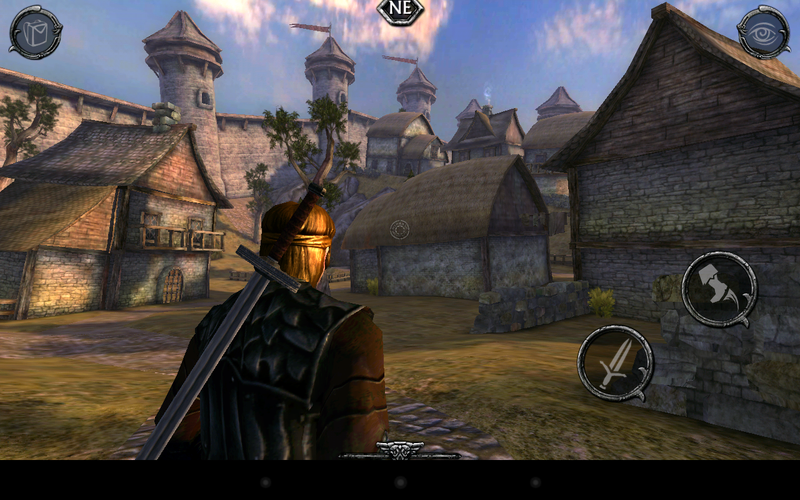 Just be aware you could be tempted to sink even more money into Ravensword: Shadowlands if you buy it.